FIMRC's Internship Program is a competitive opportunity for a select number of individuals to travel to our project sites across the globe throughout the year. With a minimum commitment of three months, interns are sure to get an in-depth view of our operations and contribute to sustainable change at our project sites across the globe. We welcome individuals with a variety of experiences and backgrounds, but always require a willingness to integrate into the communities where we work. In this way, we continue to drive long-term changes with underserved populations across the globe. 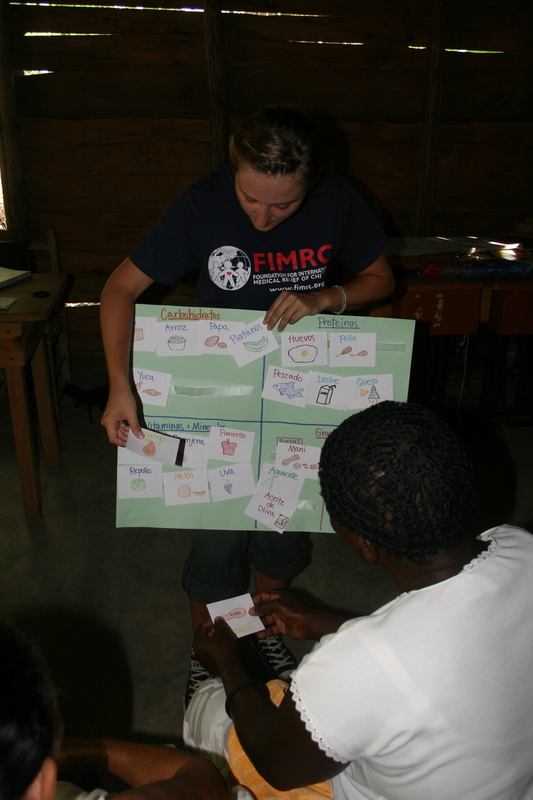 The FIMRC Internship Program provides the most driven individuals with an opportunity to gain hands-on experience developing innovative and sustainable solutions to a variety of global health challenges. In Costa Rica, a class was created for children using ballet skills of an Ambassador. The girls were taken through a holistic health education course focused on healthy habits and self-esteem, and the dance background of our intern was incorporated into a series of ballet classes. The culminating event was a recital put on by the girls who went through the program. This happened in conjunction with another Ambassador who created a similar dance program. You can read more about it here! In India, an Ambassador took her passion for community development and helped build out our Women's Group. She taught the women important skills to help with economic development by helping them create a small business and understand important pillars of the business such as budgeting and marketing. In the Dominican Republic, an intern learned about the Superman initiative taking place on-site and built out a similar program called Chicas Maravillas. Additional information about the program can be found in our blog post! The exact nature of your Internship will vary greatly depending on the amount of time you spend on-site, current operations and initiatives that are in the site's strategic plan. Specifics are discussed throughout the interview process depending on site selection. Internships are available at all FIMRC locations that accept volunteers as well as at our US Headquarters in Philadelphia. Applicants do not apply to specific sites but rather the Ambassador or Fellowship Programs in general. Placements are based on the sites' needs, applicants' skill sets, and information gathered during the interview process. Interns are accepted on a rolling basis prior to the deadline. Each site has a maximum number of interns per site. Contribute to programming - a contribution that will last well beyond your time on-site. Once received, your application will be reviewed by our team. If you are selected to proceed to the recruitment process, you will be contacted for an interview. Should you have any questions regarding application deadlines, please contact internship@fimrc.org for further information.